Just in time for Halloween and enjoy year round for the extra ghoulish. 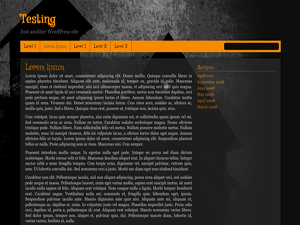 This dark theme could work for horror, gothic or other websites of the macabre. Happy Halloween! If you need help, please use halloweenlove.com/forum/feedback.